In the wake of changes to old importation legislation, multiple species started to appear quietly into the market. But proposed whitelists could be changing all that again in the not so distant future, reports Nathan Hill. Legislation on imports is both friend and enemy to the aquarist. It has undeniable benefits, in the form of protecting our own native stock from competition or introduced disease from non-native species. We only need to look at the terrors of potential KHV outbreaks, or the havoc unleashed by invasive crayfishes to see just how the restriction of some species is for the greater good of the whole country’s ecology. But other elements of legislation cause protracted quarrels, confusion, delays and even prohibition of species that pose no problems at all. You only need to look at how we once nearly lost an entire genus of tropical barbs to see how legislative issues can become blindly discriminative. Simply through the confusion surrounding the species within 'Puntius' (as the fish were at the time) we came perilously close to losing importations of fish like the humble Tiger barb – a species we all know to be problem free. Pre- 2009, legislation was quite tidily taken care of through the DOF import licenses. 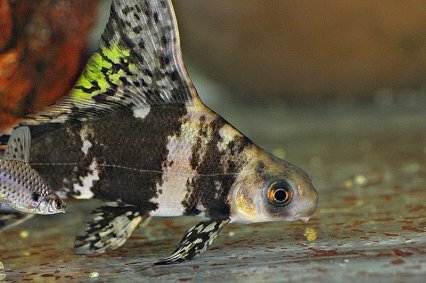 In a nutshell, tropical fish were brought in under a DOF8T license, and classic coldwater species as like Koi and goldfish brought in via the DOF8A license. Any fish then found to be not tropical – ergo non-importable under the DOF8T licence - fell into a difficult to acquire limbo, requiring a more specialized specific purpose licence, DOF8C. This was all well and good, and meant that many fish that could feasibly survive within UK waters could not be imported, without special dispensation granted for adequate reason. As such, many species made no appearance in stores. So how did they come back? Things changed in 2009. Pending whether destinations for fish were ‘open’ or ‘closed’, subsequent EU legislation opened the doorway, overriding older DOF measures. These newer concerns became less about the abilities of livestock to survive in the wild, but more about their potential as vectors for disease. Many fish previously frowned upon as eco-hazards were now subsequently considered low risk, and imports resumed. On the whole, the majority of OATA members didn’t exploit this change in ruling, and opted not to load themselves with a plethora of ‘newly available’ coldwater species. However, some retailers saw the green light and filled the tanks with all manner of eyebrow-raising selections. Species that could only formerly head to bio-secure zoo aquaria were suddenly popping up here and there. So are they here to stay? Probably not, no. One offshoot of those retailers flocking out to acquire formerly restricted species is that is has strengthened the case for not trading in non-natives. Because of the EU influence, and the changes it has caused, the Fish Health Inspectorate has worked with DEFRA to revise the way that the still functioning Import of Live Fish Act (ILFA) can encompass other species. ILFA currently prohibits the importation of fish such as Northern snakeheads, and the classic Hi-fin shark (Myxocyprinus) as well as controlling some of those borderline acceptable fish like Grass carp and Sterlets. Even now, DEFRA is seeking to approve a draft ILFA order, which will prohibit keeping of non-natives without a licence. From this, the plan is to create a general licence, granting the keeping of a specific ‘whitelist’ of species. Into this list can be placed the known tropical and sub-tropical species we all enjoy, and the intention is to keep the selection of coldwater ornamental fish restricted to a range of known safe species. The concern, as it always has been, is that both unscrupulous keepers, and even fishery managers, can still have an annoying inclination to release non-native species into open waters, either for convenience or commercial gain. We can look at the analogous problems of turtle species being released into ponds and lakes to understand the impact that this can have. 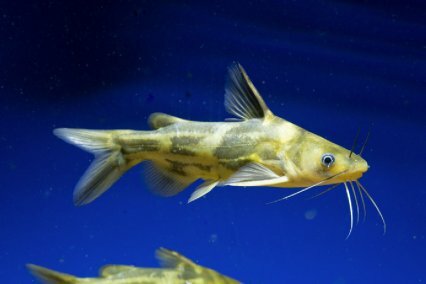 The new ILFA coverage would extend to those potentially problematic species like Bowfins (above), Amur suckers or Fulvidraco catfish (below) among many others, making it all but impossible to get them without specific licensing. Currently, these are fish I can easily pick up from multiple sources. Do we want a white list? For those who aren’t familiar, a whitelist is the opposite of a blacklist. Blacklists work by a process or exclusion. If something is on a blacklist, it is forbidden, and anyone adhering to the list is denied interaction with said blacklisted entity. A whitelist by contrast registers things that are permissible. Written like that, it looks very black and white. Surely we can just put a list together of all the permitted species of fish in the UK, and that’s job done. Well, no. A whitelist might not be great for us. In fact, it’s the method of restriction most favoured by those bodies who would happily see an end to our hobby. From our perspective a blacklist would be much better. With a whitelist, there are many issues. Ranking highly amongst them is the issue of who chooses the list of names of fish that we can keep. Getting a fish included on the whitelist will likely be nowhere near as simple as jotting a name down and hoping for the best. Species will need to be clearly identified and recognised, and most importantly, will almost certainly require a critical evaluation, probably with veterinary certificates or other methods of showing their clean health – and all of this will be very, very time consuming. For many of the farmed species, this won’t be an issue. But do we want a hobby made up of a limited handful of the most generic species? I hazard a guess that this is not what we’re after at all. Imagine a trade of just colourful platies, a dozen or so species of corydoras, and hopelessly inbred cichlids, and you’ll understand how few people that will appeal to. There’s then the question of whether the list identifies permissible fish to species or genus level. Genus is risky, as all it takes is for one or two unsuitable species out of a vast group to take out that entire genus, much in the way that nearly happened with Puntius all those years ago. But species level provides a problem too. How many fish come in that are new and unknowns? Those exciting ‘Farlowella sp.’, or ‘Panaque sp.’, are amongst so many others in being very much the lifeblood of our hobby, and would be near impossible to import based upon a requirement to identify any fish to species level if it is to be allowed. As for new discoveries – forget about it! It could potentially be months, or even years for clearance to be achieved, before a new fish is allowed into the country, and that’s assuming that they don’t then have a requirement for a veterinary certificate to warrant their entry. Vet certificates on newly found wild fish? That’s not something that’s likely to happen any time soon. No, a whitelist is most likely not going to be our friend. At best, it could drastically reduce the selection we can keep, and devastate newcomers. At worst, it will be a death knell for the hobby as it is. A blacklist by contrast leaves more of an open playing field of fish imports, and problematic species can be identified and restricted, to species level. Fish can be added to it as time goes by, as problems arise, and should there be any specific need for someone to import any fish from it (for whatever reason) then special dispensation can be discussed and/or approved by the authoritative bodies. While all that’s going on, the rest of us, with our perfectly acceptable tropical fish, can carry on with business as usual. As I write, we sit and await a draft of the proposed legislation to be presented and made public, due as it is any time right now. OATA is fighting for a diplomatic resolve to the issues, and it is too early for me to offer any official clarity on their ultimate stance, but it might be safe to assume their preference would steer toward blacklisting over white. Until then, we just need to sit tight and wait to see what happens. In the meantime, I would implore any of you out there with species that can potentially inhabit UK waters to behave responsibly, and not even begin to consider releasing any of these fish into native waters. Do so, and not only have you violated the Wildlife and Countryside act, but the Animal Welfare act too. You could be looking at hefty fines or even imprisonment. Personally, I’d throw the book at you for it. On top of that, you’ll just be ruining it for the rest of us. If you’ve bought cold water non-natives, do us all a favour and keep them in your tank, and don’t damage the hobby for everyone else.